Working full-time and not getting home until after 6 pm many days of the week, I’m usually starved and ready for food! As you all know, I love to cook, so eating cereal for dinner is not my idea of a great dinner. When Matt’s home, I will almost always prepare a homemade dinner. That’s where this quick and easy chicken pesto pasta dish comes in hand! With only 5 main ingredients plus a few pantry staples, you’ll have a delicious Italian meal sitting on your table in less than 30 minutes. If you know Matt, he can be very direct, which is good if you’re wanting an honest opinion. There’s been many a nights that I’ve cooked dinner, and he says “I don’t like this”, or “the chicken is dry”. Need I say more? Hahaha? While I don’t always like to hear it, it helps me to become a better cook because I definitely know what I need to work on. With this dish, Matt loved it every bit of it! No complaints, only praise. I think he went back for seconds, maybe thirds. 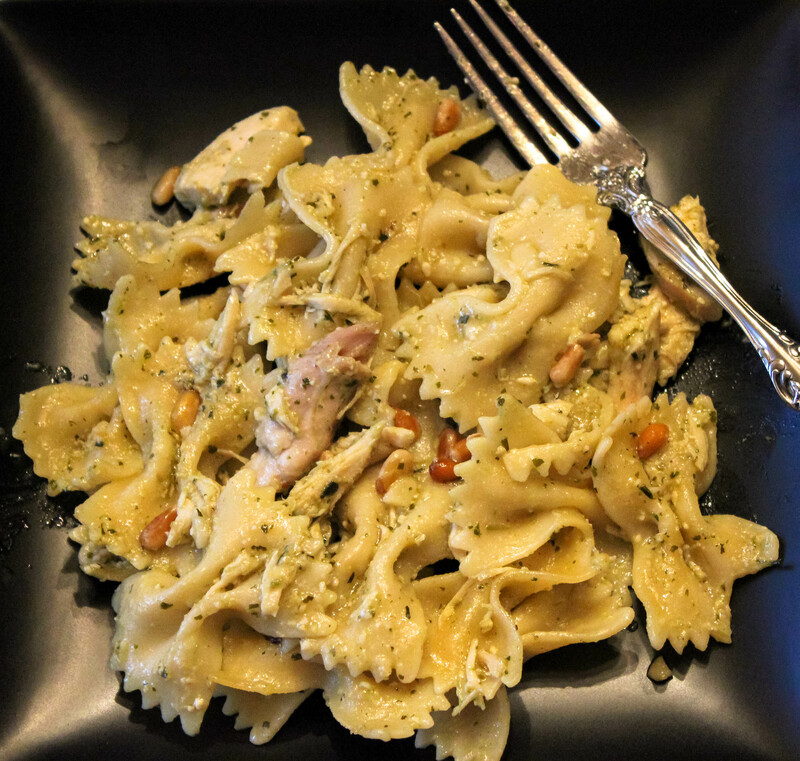 While the pictures don’t do it justice, the pesto combined with the chicken broth, crisp pine nuts, juicy rotisserie chicken and fresh lemon juice makes for a perfect combination. Top it off with some fresh Parmesan cheese and a side salad, and you’ve got yourself a meal. Enjoy! 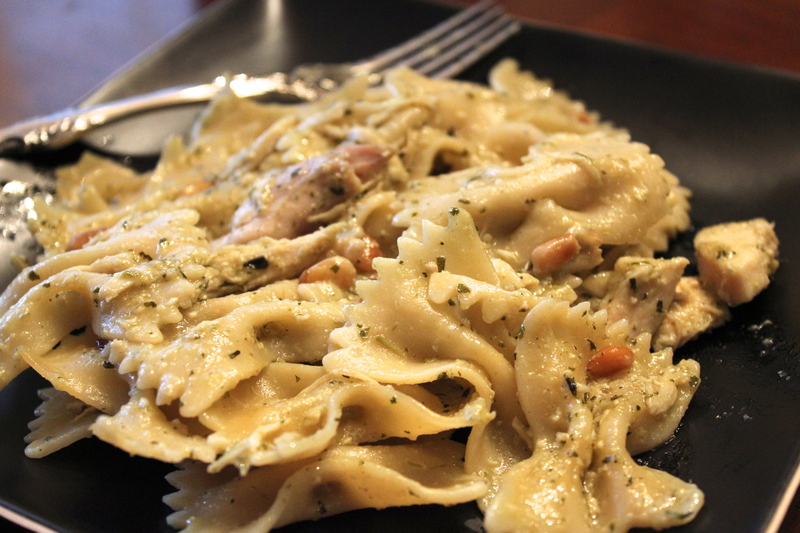 Stir together chicken, broth, and ¼ cup of the pesto in a large, deep skillet. 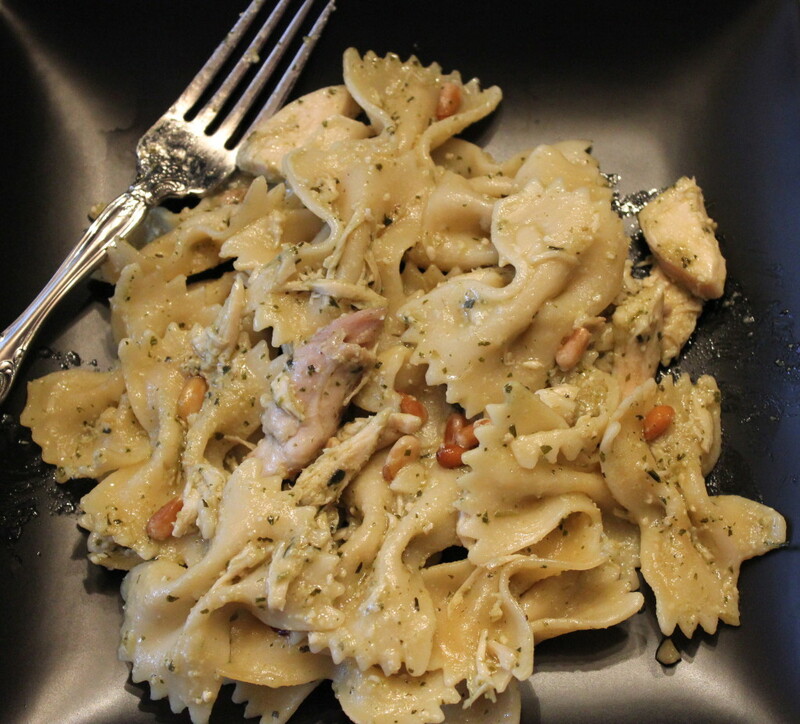 Cook pasta, drain and add to skillet with lemon juice to taste. Cook over medium heat, stirring, until heated through, about 3 minutes. Season to taste with salt and pepper and top with pine nuts. 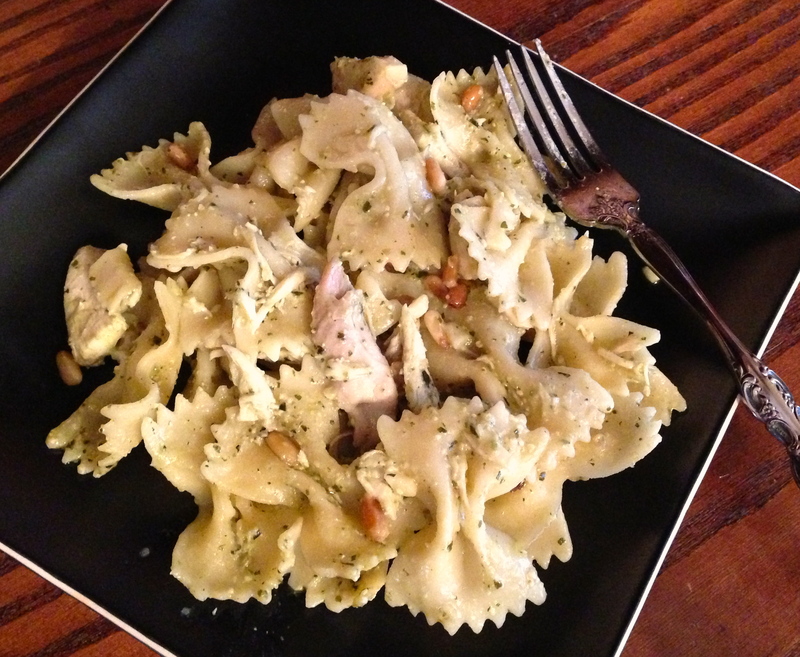 Drizzle with oil, optional, and remaining ¼ cup pesto.